Begin your day by eating breakfast in the town of Forks, then travel to the most Northwesterly point of Washington, to visit the Makah Museum Cultural & Research Center. The Museum & Research Center, houses and interprets artifacts from the Ozette Archaeological Site, a Makah village partly buried by a mudslide 300-500 years ago; it was recently discovered in 1970. The museum provides a glimpse of pre-contact Makah life and exhibits feature 500 artifacts including whaling and fishing gear, basketry and replicas of a full size long house and canoes. There are also guided tours to other local Makah sites to include the Ethno-botanical Garden, Ozette Archaeological Site, Cape Flattery Trail, and other local village sites and beaches. Next, head east to the City of Sequim / Port Angeles, Washington to eat and play at the Cedars at Dungeness Golf Club, owned and operated by the Jamestown S'Klallam Tribe. Stop by to enjoy a meal at the Double Eagle Restaurant or play a round of golf at the award winning 4-star Golf Digest 'Best Golf Course' in Western Washington. After, travel 15 minutes to the Northwest Native Expressions Art Gallery and House of Myth Carving Shed, located at the Jamestown S'Klallam Tribal Campus for a self guided tour. The gallery offers traditional and contemporary forms of art that represents the uniqueness of the northwest Native American culture and history. 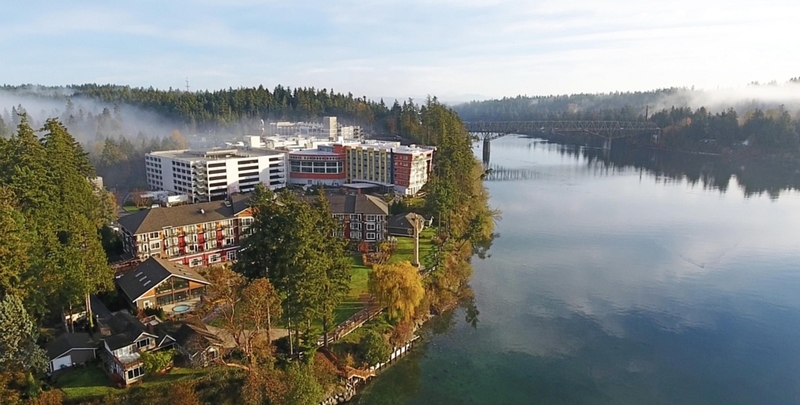 End the day by travelling 45 minutes East and stay at the beautiful Suquamish Clearwater Casino & Resort, located on the breathtaking Kitsap Peninsula, named after Chief Kitsap of the Suquamish Tribe -The county that boasts over 250 miles of saltwater shoreline. Begin your day by eating breakfast at the Beach Glass Cafe, at the Suquamish Clearwater Casino Resort, then travel 7 minutes to visit the Suquamish Museum. There you can take a guided tour of the museum, Chief Seattle's Grave site and the Suquamish Veterans Memorial. dxʷsəqʷəb, meaning “place of clear salt water” in the Southern Lushootseed language, has been home to the Suquamish people since time immemorial. It is the ancient place on Agate Passage and is the site of the Old-Man-House village and the winter home of Chief Seattle; the heart of the Suquamish People. The Suquamish Museum is designed to share the history and traditional ways of the Suquamish People. The facility features two galleries, a performance space, museum store and outside learning areas. Next, take a 30 minute ferry ride to downtown Seattle to visit Mr. Louie Gong (Noonsack) and his team at 8th Generation 'Inspired Natives' Shop for arts, culture and shopping. 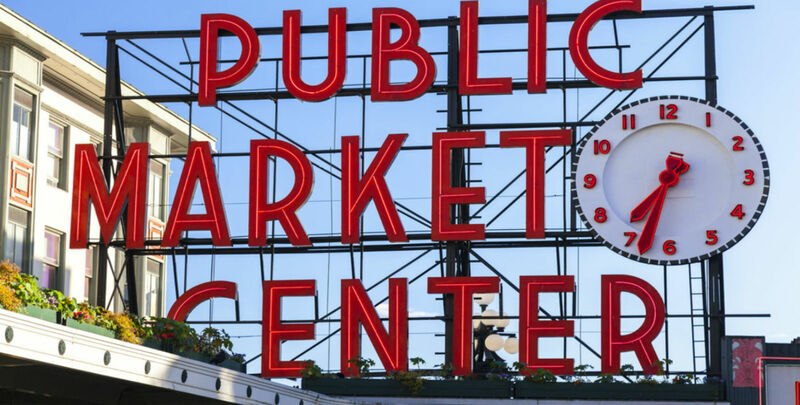 Eighth Generation is the first Native-owned and operated company to ever produce wool blankets with a flagship retail store in Seattle's iconic Pikes Place Market. Founded in 2008, Eight Generation is a proud participant in the global economy and is currently located in the "Atrium", which is just off of 1st Ave and is open 7 days a week from 10:00 am to 5:00 pm. After you visit Pikes Place Market, travel north to the Hibulb Cultural Center & Natural History Preserve, where you will have the opportunity to experience the journey and civic pride of the Tulalip people. The Hibulb Cultural Center and Natural History Preserve's mission is to revive, restore, protect, interpret, collect and enhance the history, traditional cultural values and spiritual beliefs of the Tulalip Tribes. The Hibulb Cultural Center is approximately 23,000 square feet with a 50-acre natural history preserve. The interactive cultural center features a main exhibit, a temporary exhibit, two classrooms, a longhouse, a research library, and gift shop. End your day by staying at the beautiful AAA Four Diamond Tulalip Resort Casino. The resort is among the premier destinations in Washington State offering luxurious accommodations, award-winning dining options, a rejuvenating spa, casino excitement and world-class shopping. There you can dine at the Blackfish Restaurant where you can find a seafood centric menu paying tribute to regional Northwest ingredients and the Tulalip tradition, play at the 24 hour Casino and shop at the premier outlet mall. We hope you had a great time Discovering Native America in the Pacific Northwest - Safe Travels !